Read Regional is a celebration of brilliant new books from the North of England, which connect authors with readers in their local libraries. Founded by New Writing North in 2008 with the first events taking place in 2009, the campaign is funded by Arts Council England and is now produced in partnership with 23 library authorities. Many North East authorities have been involved in Read Regional since its inception, including Darlington, where the Crown Street Library – one of only two public libraries in the authority – is currently under threat. The campaign has previously promoted leading authors including Melvin Burgess, Ann Cleeves, Jack Mapanje and Annabel Pitcher. 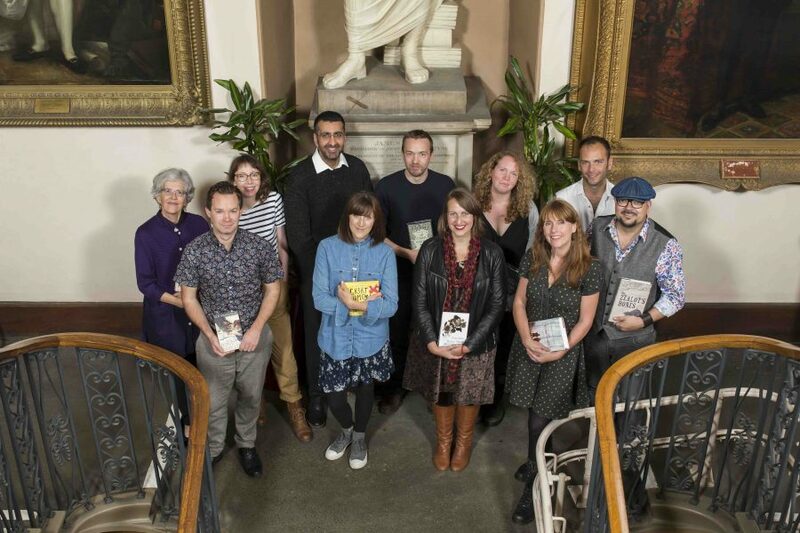 This year’s selection offers a wide appeal, including poetry, children’s books, nature writing, fiction and crime. Each library authority will stock the full Read Regional 2018 list and from March until June 2018 the authors will take part in 87 events in libraries across the region including workshops, book group discussions, events for schools and readings. Following the spring campaign, the Read Regional titles will remain in stock, adding to the wealth of new northern literature readers can borrow from their local libraries. For the authors involved, Read Regional is not only an opportunity to meet readers and talk about their work, but also to celebrate the vitality of libraries as centres of creativity and learning for the whole community.